Pelmets are the ultimate item completes the look of window accessories. It is an ideal window cover that saves the heat coming from outside and also prevents the warm air that creates on the top of ceiling. A pelmet is nothing but finishes the window look with more structured and elegant way. 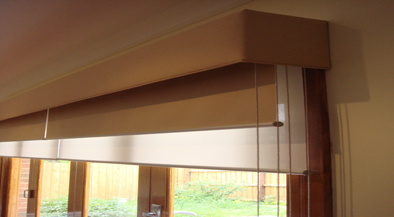 At Just Blinds 4 u, we offer a wide range and style of pelmets which will complement with the curtains and blinds. Installing a pelmet not only completes the look of your windows but also enhance the room’s entire appearance. Our highly efficient manufacturers work coherently with the age and updated knowledge, thus we have stored a wide range of pelmet’s size, shape and fabrics. To give an elegantly decorative touch you can also choose our extensive designer range. Contrasting with the colour of your home, choose the pattern you think best complements with. On the contrary, if you feel puzzled, let our expert decorators decide the best –fitted. Since we have been in this industry for a decade now and providing our service across Melbourneand its flattening suburbs like McKinnon, Moorabbin, Oakleigh, Carnegie and beyond, so we know how to accentuate home decoration with just some of our highly designed curtains, blinds and pelmets. What Just Blinds 4 u promises? •	Compatible pelmets for both office and home use. •	Best products, creatively designed and durable. •	Properly installed by highly efficient staffs. So, if you want to give the finishing touch on the windows then contact us and place order for the best-fitted pelmets at the best fitted price!